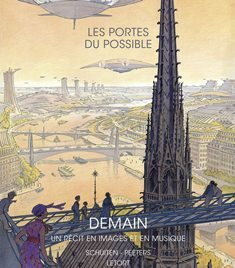 Demain - Les Portes du Possible (Tomorrow - the Doors of Possibilities) is a story in pictures and music by François Schuiten, Benoît Peeters and Bruno Letort. It was performed at April 14, 2013 in Théâtre Marni in Brussels. And in March 2013, at La Bibliothèque de Toulouse. An older version of this spectacle was performed before in Brussels in 2011. For this performance a different poster was used. 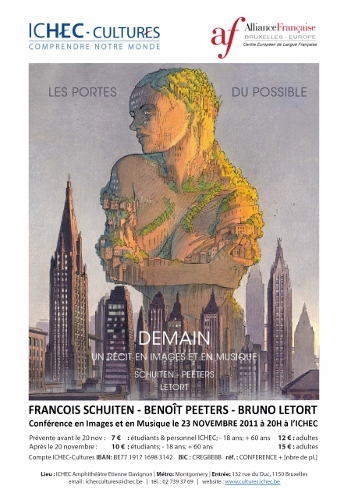 Registration of “Les portes du possible « Demain »” at the library of Toulouse.